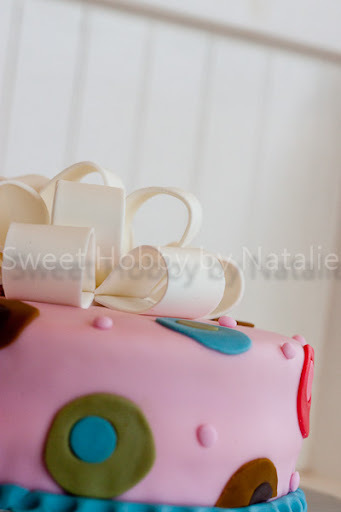 This is the second attempt of a covering a cake with fondant. And it was a way better success than the first. 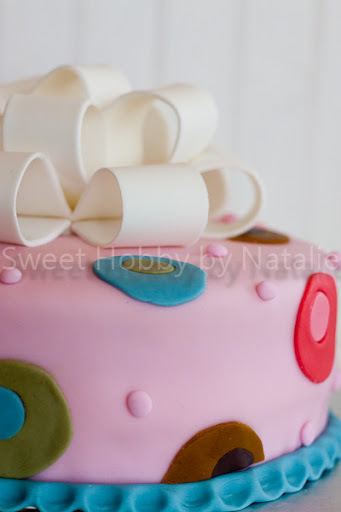 I finally got to take the Wilton course 3 cake decorating class back in May and for the last class you had to cover a cake in fondant and decorate it. I think it turned out cute. I then took it to my family reunion and shared it with everyone there. It was a lemon cake with raspberry filling. Now I have done all four courses that Wilton offers. After taking all the courses you can then become an instructor if you want and that was something that interested me at first but then I found out they cut the pay so not sure if it will be worth doing but I may still consider it after I practice all that I have learned over and over again. 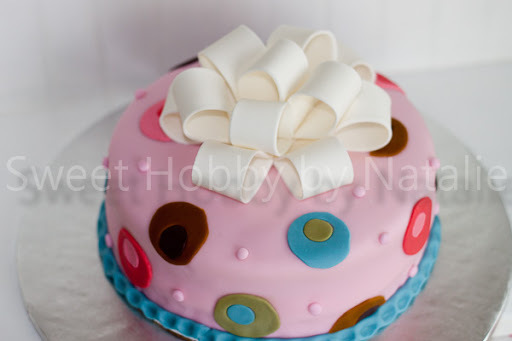 If you like to decorate cakes but not sure how, you should take the classes. The classes are fun although you think the classes are cheap but all the extra's you have to buy add up!